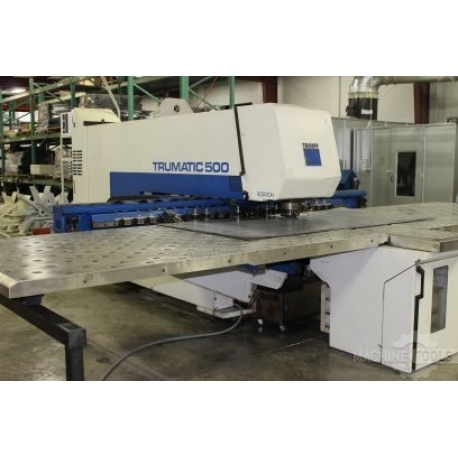 ID #: 393997 Brand: TRUMPF Model: TC500R-1600 Type: Turret Punches Year: 1994 Control: CNC Seller: Show me who the seller is... 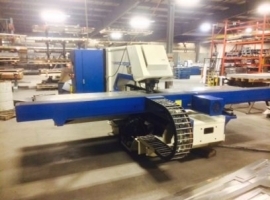 Location: New York United States Stock #: 10592 Price: Request a QuoteAdded to Request list Tonnage: 27.5 T 27.5TON TRUMPF TC500R-1600 HYDRAULIC MULTI-TOOL CNC PUNCH MFG: 1994 APPROXIMATELY 23,700 HOURS 27.5TON TRUMPF TC500R-1600 HYDRAULIC MULTI-TOOL CNC PUNCH MFG: 1994 APPROXIMATELY 23,700 HOURS TONNAGE 27.5 U.S. CONTROL TRUMAGRAPH CC220 THROAT DEPTH 65" SHEET SIZE 65" X 121",PLUS REPOSITIONING TOOL CHANGER 18 STA. 3" CAP. ROTARY RAM(C-AXIS) 360 DEGREES MAX. STROKE PER MINUTE 780 SPM MAX. 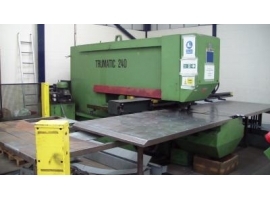 MATERIAL THICKNESS 0.250 MAX. 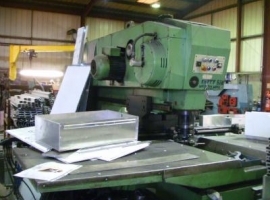 WORKPIECE WEIGHT 507 LB. 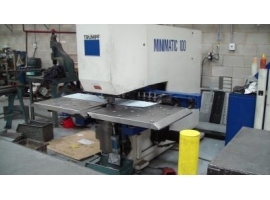 TABLE SPEED 4300 IPM SIMULTANEOUS X & Y APPROX. MACHINE WEIGHT 28,600 LB.